The Cleveland Cavaliers fought until they couldn’t fight anymore, but all their ferocity, grit, and fortitude wasn’t enough to overcome the inevitable. 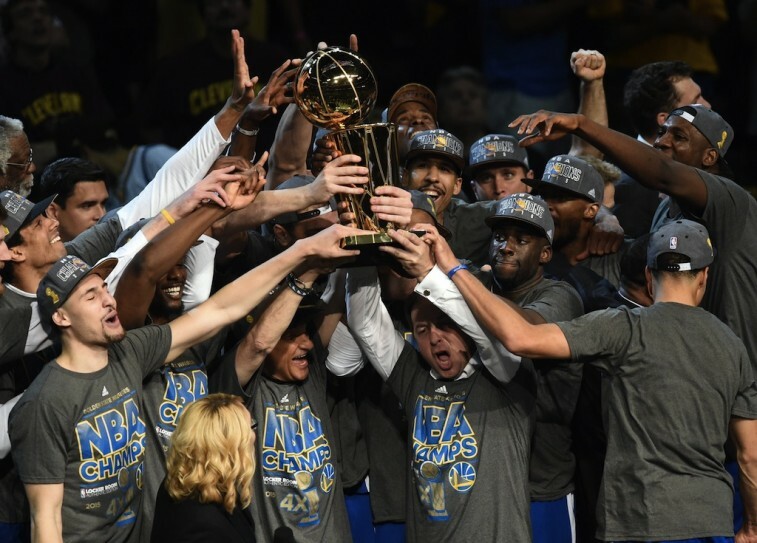 The Golden State Warriors are the 2015 NBA Champions — and they earned it. With regular-season MVP Stephen Curry dropping 25 points and Finals MVP Andre Iguodala matching him, the Warriors quickly sucked the air out of Quicken Loans Arena, on their way to a 105-97 victory. Each time it appeared the Cavs had another run in them, the Dubs silenced them with a dagger from beyond the arc, a crucial put-back, or a deflating second-chance opportunity. The Cleveland faithful and basketball fans alike would’ve loved to see a Game 7. The Warriors had no intention of letting that happen. 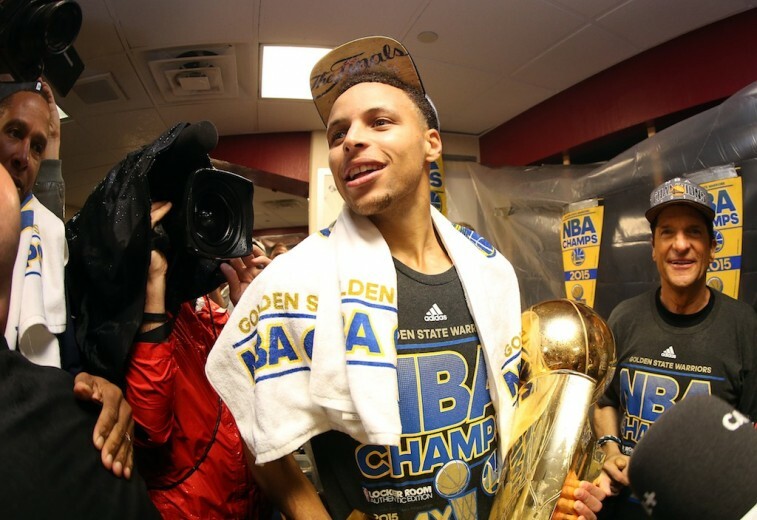 Golden State had waited 40 years to be back on top of the basketball world. After a 67-win regular season, this 2014-15 team seemed destined to make that happen. And while they were the best team throughout the entire year, this Finals victory was by no means easy. Down 2-1 in a series that everyone and their mother expected them to win, the Warriors pulled the write strings, made the necessary adjustments, and found their grove. Three games later they’re hoisting the Larry O’Brien Trophy and the rest is history. If the Cavaliers had found a way to win this title, it would’ve gone down as one of the biggest upsets the NBA has ever seen. But this was not to be Cleveland’s year. Why? The Warriors were simply better. We could probably end the discussion right there — in the end, the better team won. But that would be too easy. Golden State didn’t just win, it overcame the kind of herculean performance that you read about in Greek mythology. Iguodala may have been named the Finals MVP, but no one would’ve been surprised had that award gone to LeBron James. He was hands down the most dominant player in the series; almost singlehandedly willing this undermanned Cavs team to victory. In Game 6 — James’s last stand — the King went for 32 points, 18 rebounds, and 9 assists in over 46 minutes of play. When the confetti fell and a new champion was crowned, ‘Bron’s Finals run would end with overall averages of 35.8 points, 13.3 rebounds, and 8.8 assists per game. He wound up playing 45.7 minutes a game in these Finals and ended up leading the 2015 playoffs in total minutes played with 844. The Warriors just had more. Closeout games on the road are never easy; and they don’t get any easier with a championship on the line, but aside from a brief lapse at the end of the contest — one that saw the Cavs fall short after a furious three ball-filled comeback from J.R. Smith — Golden State did almost everything right in Game 6. 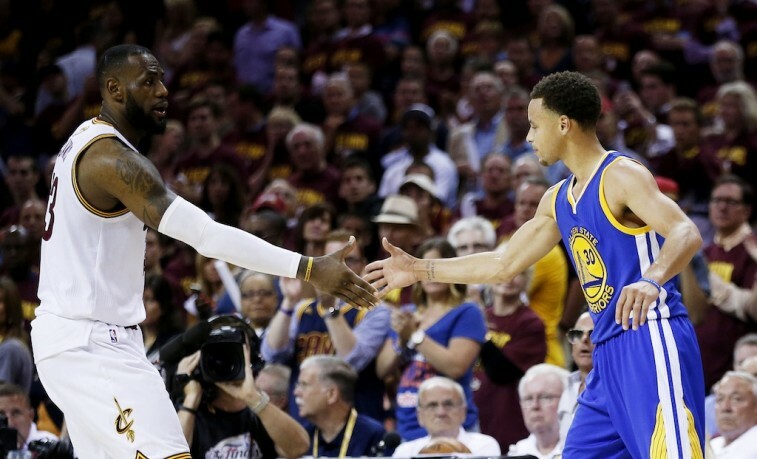 The Warriors only turned the ball over six times, while forcing the Cleveland to commit 16. They moved the rock, made the extra pass, and hit the important shots. They were fluid and unified and completely collected. They found a way to dictate the game, even when the wasn’t favoring their style. The Golden State Warriors may have been the deeper team, but they also won the battle of the matchups. And that cannot be overlooked. With this win, history found its way to the Golden State Warriors. Stephen Curry became just the sixth player ever to win a title the same year he won his first MVP award, coach Steve Kerr became the first rookie coach to lead his team to a title since Pat Riley in 1982, and the Dubs won it all for the first time since 1975. However, while it’s always fun to note the historical value that comes with success, right now we really should focus on the present — on this current Warriors team. A group of players who came together, played for each other, and took down a King. We may very well be witnessing a dynasty in the making. But for now, we’d say this group would settle for just being referred to as the 2015 NBA Champions.